Don't miss out on the most successful East Finchley Storage solutions N2. There are things involved in moving house which before you get started you may never have considered before. Aside from all the usual things there are to be stressed about, you've got all that packing to get done and the vehicles and storage to arrange, and typically something will go wrong because that's just how things go. Perhaps you will run out of time, people will let you down or as is pretty common when moving, dates will be changed at the last minute due to things falling through somewhere along the house chain. This is when hiring professional help will prove absolutely invaluable. Here at East Finchley Removals we're experts in making the removals process as stress free and smooth as possible for all of our customers. 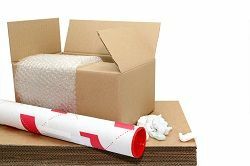 We are renowned for our excellence in N2 removals and will strive to do everything we possibly can to make the process as easy for you as possible. Call us on 020 3743 9948 so we can discuss your individual storage needs and begin providing you with our services. We completely understand here that moving can be a long, stressful and complicated process. Our years of experience can prove essential in making it all a bit easier for you. We provide not only excellent service but assurance of quality and expertise. We are constantly updating our services so that we can guarantee that we are offering the best on the market and that we say with certainty that we are the number one East Finchley movers. Call us on 020 3743 9948 so we can start planning your move and arranging our removals and storage services for your individual needs. The moving process can be extremely unpredictable. Just when you think you've got everything sorted, it is all up in the air again and everything needs re-arranging quickly and accurately. Our East Finchley storage solutions are an excellent way to ensure that your belongings are safe and secure and will give you peace of mind that they are taken care of until you are ready for them at your new property. Choosing the correct storage for your moving needs can be difficult and expensive, especially since you are faced with seemingly endless options and don't even know where to begin. That is we can step in and help and our huge amount of experience will be an invaluable help. We can guide you and make sure we provide you with what you need, that you are paying the right price and that everything is taken care of correctly. We know N2 storage and are here to share our knowledge and expertise with you. Hiring our removals and storage company will not be a decision you regret, we are highly trained in several areas of the moving process and our movers are packed with local knowledge and friendly advice to make your move the best it can be possibly be. We pride ourselves in ensuring the latest and best storage solutions are provided to our customers which is why we have such a solid reputation and can guarantee you a fantastic service from our company and our man and van services. Here at East Finchley Removals we are experienced, trustworthy and professional, all qualities which are priceless when you're moving house. Call us today on 020 3743 9948 so that we can offer our services to you and start making your removal the best it can be. You can stop worrying and start getting excited, while we take care of the hard work that we know best.